Food for thought . . . in small tasty bites. There is finally a stock photography site full of real, active, did I mention real? people with disabilities. PhotoAbility.net has apparently been up and running for a couple of years; I just discovered it because its founder, Deborah Davis, was featured as New Mobility’s Person of the Year. 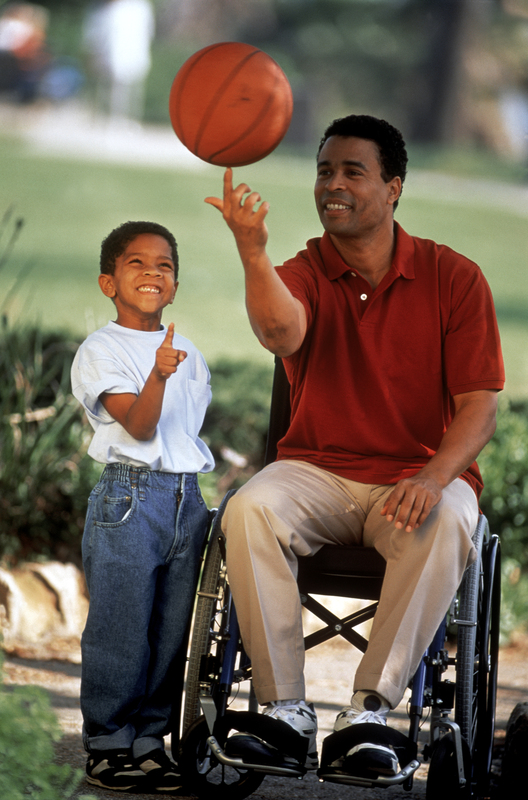 We first used stock photography in a monumentally misguided* attempt to settle a case by presenting the defendant with examples of how people with disabilities could be part of its advertising and outreach. Seeking stock photographs, we ran searches like “wheelchair,” “disabled” and of course “handicapped” in the various mainstream stock photography sites. What we found were (1) hospital and medical images; and (2) essentially fake images in which obviously non-disabled people had seated themselves in crappy gray-vinyl hospital wheelchairs to undertake random daily tasks. We had such little luck finding real images that we solicited some from photogenic friends doing photogenic things with photogenic kids, and then took one or two ourselves. This, for example, is our friend Julie, her two older daughters, and our dog in our backyard. Think PhotoAbility would be interested? We continue to use stock images on our website and in educational materials, so I’m very excited to learn about stock photography with gen-u-ine pwds doing genuinely cool stuff. Also that PhotoAbility is part of a network of great sites at PushLiving.com about inclusive travel, lifestyle, design, etc. Check them out! * Part of a hilariously grandiose settlement attempt suggested by new and (as it turned out) temporary co-counsel. We appeared at a meeting with the defendant’s general counsel and her posse with a bunch of spiral-bound glossy brochures featuring our purchased and home-made stock images and a bunch of powerpoint verbiage about how wonderful and inclusive access was and how it would enhance their image, etc. etc., and of course they could not possibly have cared less. They wanted to know what it would cost, thanks for making the trip, goodbye. Luckily, since it was early in our practice, our dear, wonderful copy people “forgot” to charge us for the glossy brochures and spiral binding. The case finally settled — three general counsels and two outside counsels later. So it goes. Like it? Hate it? Let me know! 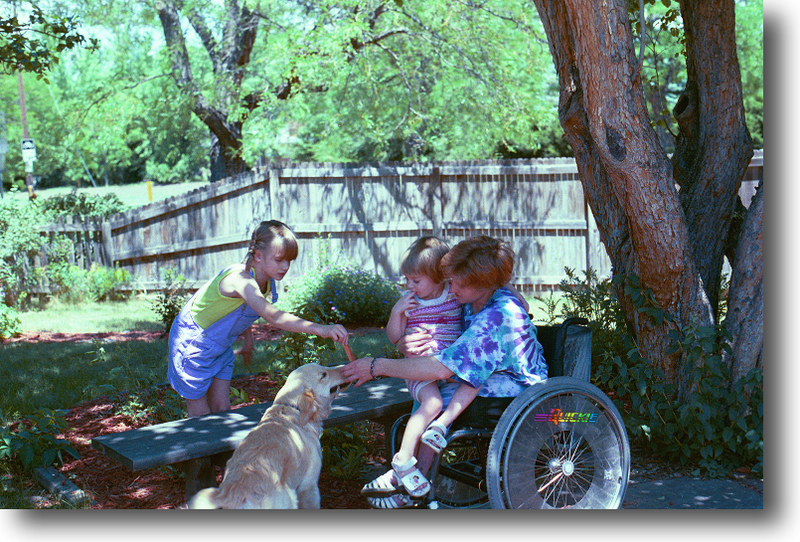 This entry was posted in Accessibility Success, Disability Adventures, Disability Pride, Disability Rights, Photography and tagged Disability, new mobility, photoability, photoability.net, Photography, pushliving, stock photography, wheelchair on January 6, 2014 by Amy Robertson. Thank you for posting this. photoability.net is particularly valuable. And you are right – it is always the bottom line no matter where you go. Actions have consequences, or, how I responded to a MAGAing business associate. Confiscating a Dynavox in the name of Christ. Gong Xi Gong Xi! * Now put it in the calendar! What’s in YOUR drafts file? You want a safe space? How about Yale College, 1924. You know who I feel bad for? Alger Hiss. The straw ban is the white liberalest thing ever. Dos and don’ts of building an inclusive Democratic party.